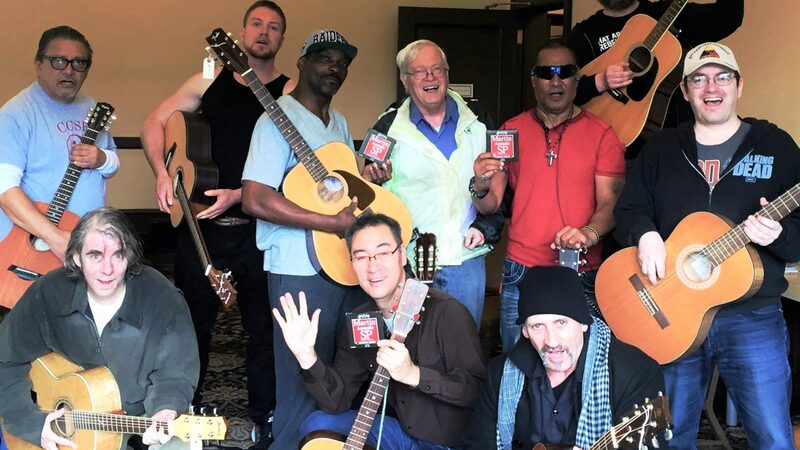 Heroes’ Voices connects Veterans to each other in camaraderie and joy by raising their voices in song at our Vets Singing with Vets workshops. 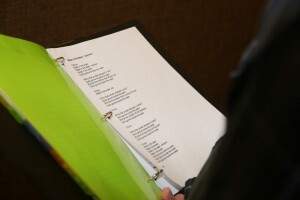 Vets Singing with Vets workshops are customized to a variety of settings, ranging from public forums to closed institutional wards. Some workshops focus on community building and fun, others on music therapy for Veterans with PTSD, traumatic brain injuries, mobility limitations, or other specific issues. Accompaniment and performance with guitars, harmonicas, and percussion instruments. Many Vets Singing with Vets workshops are open to the public, while others are limited to in-patient groups. They are always free to Veterans. Contact Heroes’ Voices for more information about scheduling, participating in, or volunteering at Vets Singing with Vets workshops.